A week and 1.5 seasons into a Great British Baking Show binge, I had to try choux. Choux pastry is a light dough that can be shaped any way and bakes into a hollow shell for any sort of filling. 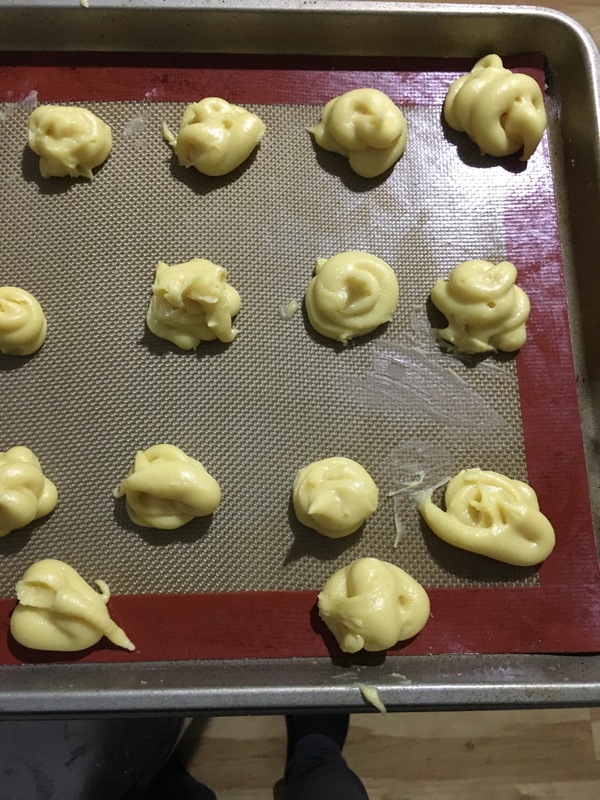 The second I considered making the dough I started picturing cream puffs in my head. 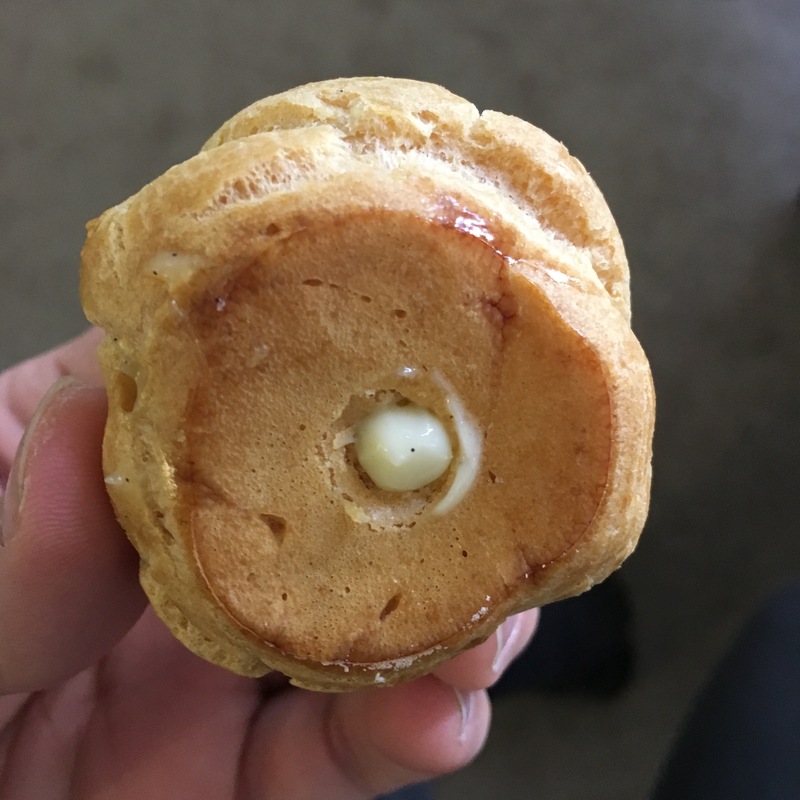 To make those, I needed to make two things: The dough itself, and the cream filling. I was hoping to temper some chocolate and dip the puffs in there too, but that optional step was cut fairly early on. For both parts, there’s a step-by-step image gallery with captions, followed by the ingredients and directions. I’ve made quite a bit of bread and pastries before, but this is a weird one. 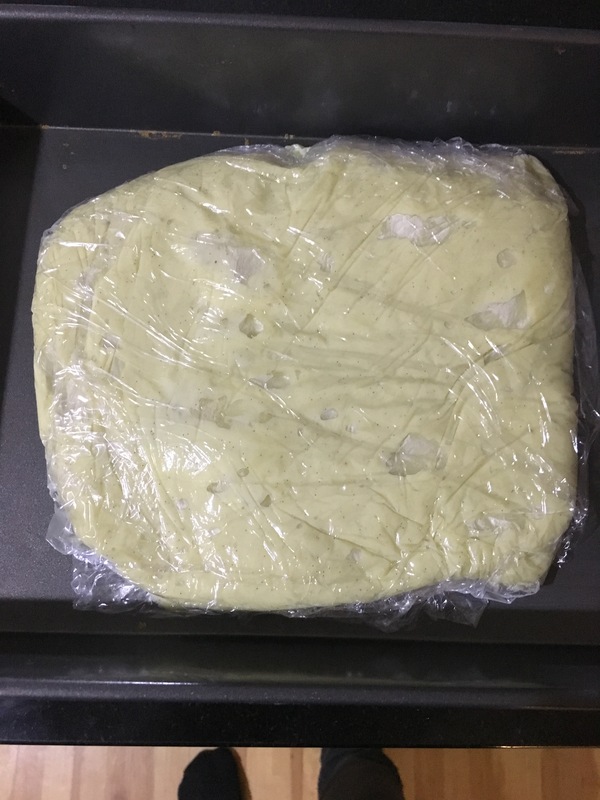 With most dough the goal is a big strong gluten network, but here we’re looking for something that quickly puffs up and hollows, so we need to go through some extra steps both now and when baking it. Butter, water, and salt in the pan. Preheat oven to 425F, if preparing for immediate baking. 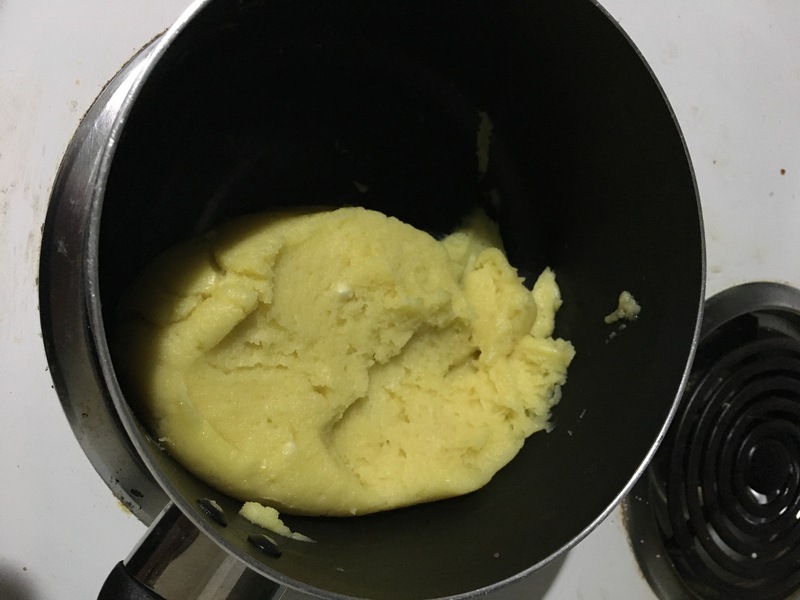 Combine the butter, water, and salt in a saucepan. Bring to a harsh boil. 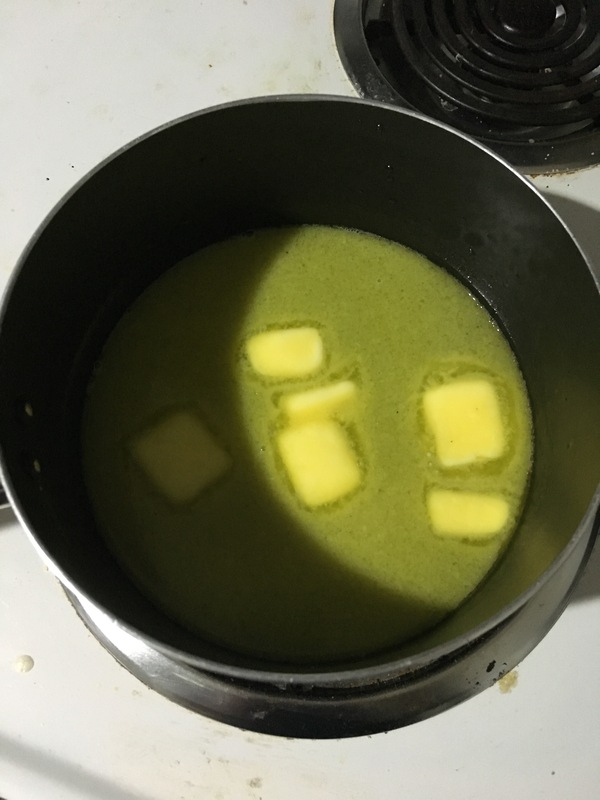 If the butter hasn’t completely melted when the water is at a boil, reduce the heat and bring to a boil again. Take the saucepan off heat. Add all the flour, and stir with a spatula or wooden spoon to fully hydrate the flour. Put the saucepan over medium-high heat and stir while cooking the dough for 3 to 5 minutes. Don’t be too gentle with the dough. It should get pretty thick when ready. Move the cooked dough into a stand mixer fitted with paddle attachment, beat on medium-low to cool. 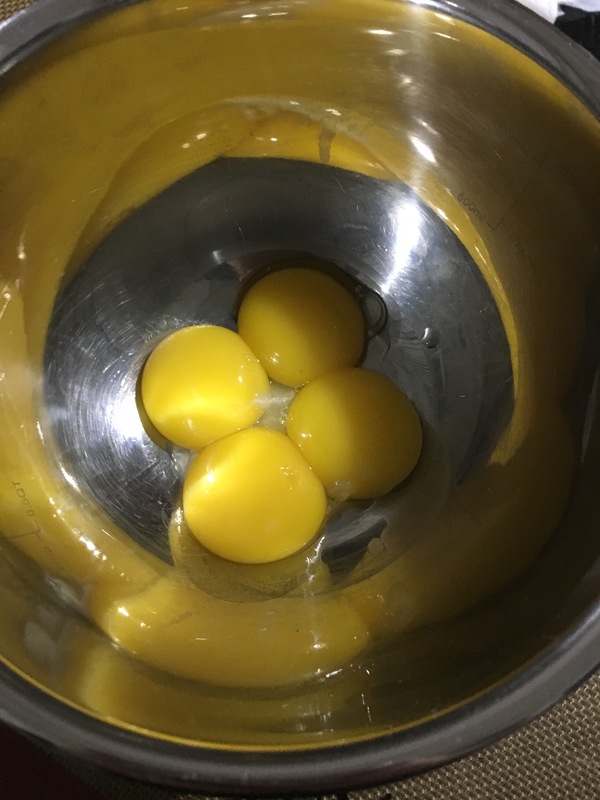 Whisk the eggs together in a bowl. Add a third of the eggs to the dough and mix until it’s incorporated in. Add another third of the eggs to the dough, mix well. Either add none, half, or all of the leftover eggs, depending on how the dough is looking. 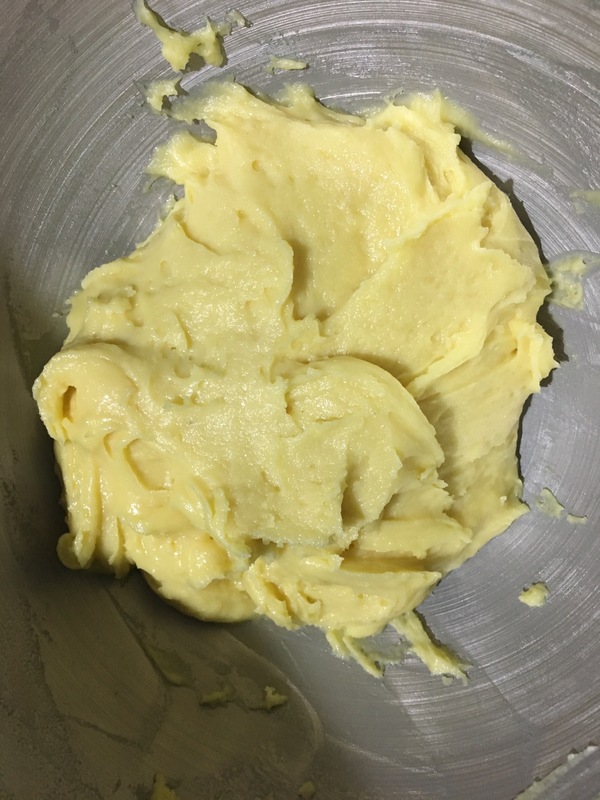 When finished the dough should look very glossy and hold its shape when scooped. Transfer the dough into some plastic wrap, let cool a bit then transfer to a piping bag. Preheat oven to 425F, if needed. Prepare a baking sheet layered with parchment paper or baking mat. 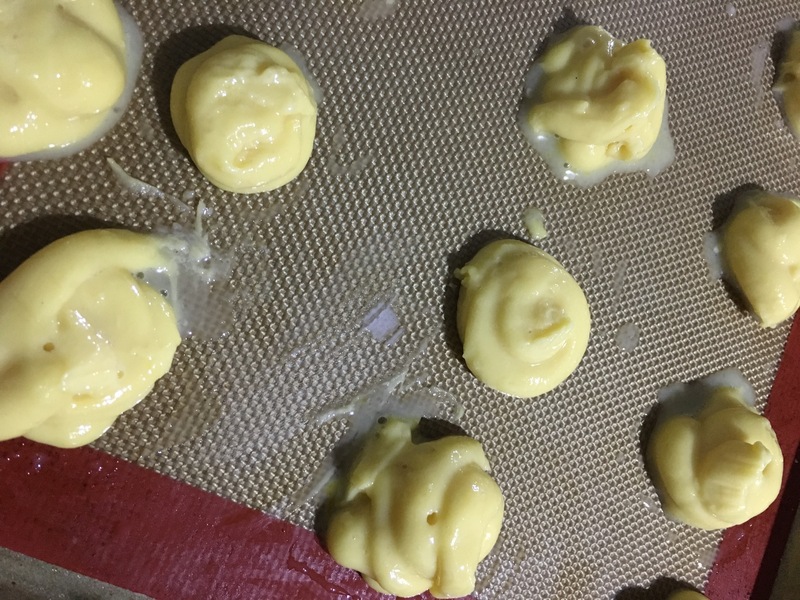 Using a piping bag pour out ~20 equal sizes circles (for puffs) or ~10 rectangles (for eclairs). 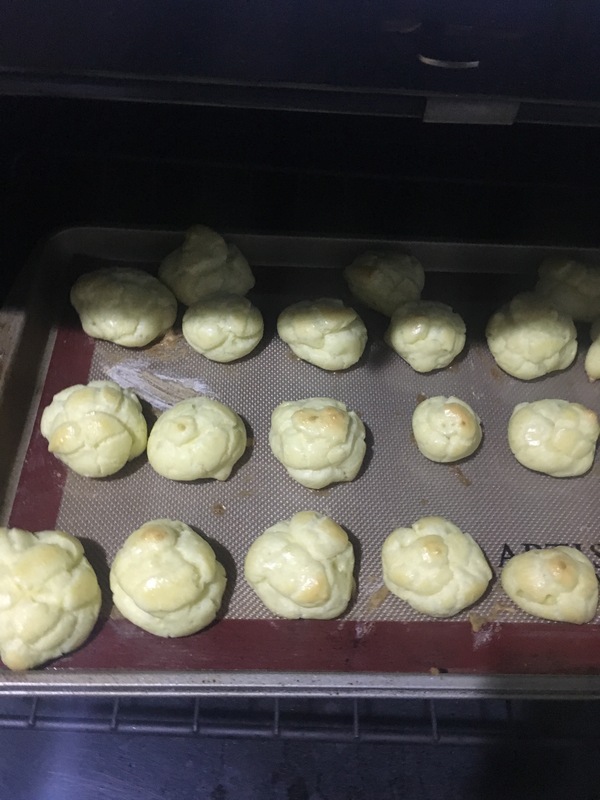 Brush the tops of the puffs with egg wash.
Bake 12-15 minutes, until the puffs rise. Reduce oven to 375F and bake for another 20 minutes, until they’re golden brown and dry to the touch. Reduce oven to 300F and bake for another 15-25 minutes, to fully dry out the insides. Remove from oven, poke each puff with a toothpick or tip of a knife to release any steam. Let the puffs cool completely, then fill. At this point you should have a collection of beautiful, crispy, hollow pastries. Now to fill them with something! The base recipe I went off for the cream was in metric, so excuse the weird sugar measurements. I added in half a tablespoon of orange blossom extract at the end too, which was a bit too powerful. I didn’t take too many pictures of the steps because I was getting pretty tired. Line a shallow baking pan with plastic wrap. We’ll be using it to cool the cream at the end, so cut enough plastic wrap to be able to wrap around the cream. 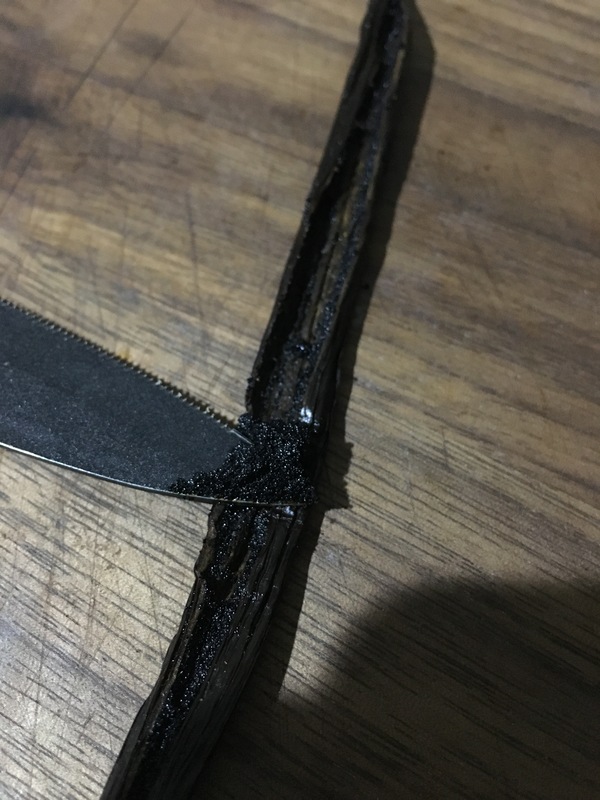 Use a knife to cut a slit on the vanilla bean, use the back of the knife to collect all the seeds. Combine milk, vanilla seeds, vanilla bean, and 2.2oz of the sugar in a saucepan. 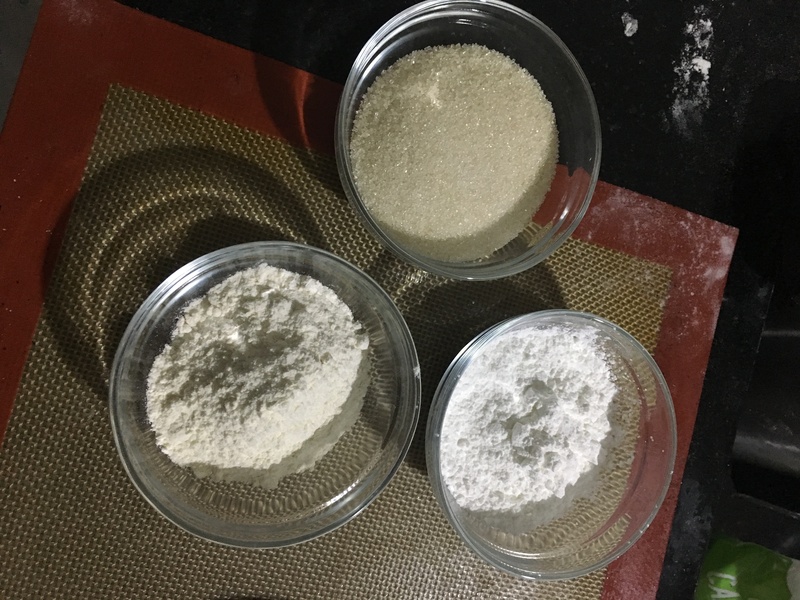 Combine the yolks with the other 2.2oz of sugar, then combine with the cornstarch, then the flour. Heat the milk mixture to a low simmer, around 110F. Remove 1/4th to 1/3rd of the hot milk mixture. While whisking, pour the hot milk mixture into the yolks. Pour the entire contents of the tempered yolks into the saucepan with the rest of the milk, and combine. Heat the saucepan over a medium heat, and whisk until it turns into a glossy cream. 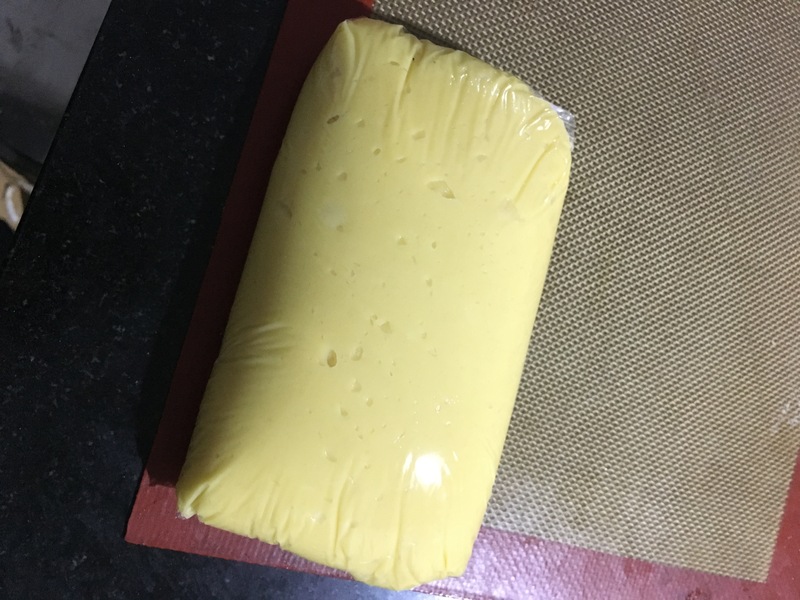 Pour cream into lined pan, folding the wrap to cover the cream completely. Press down on the wrap with your hands to prevent a skin from developing on top of the cream. 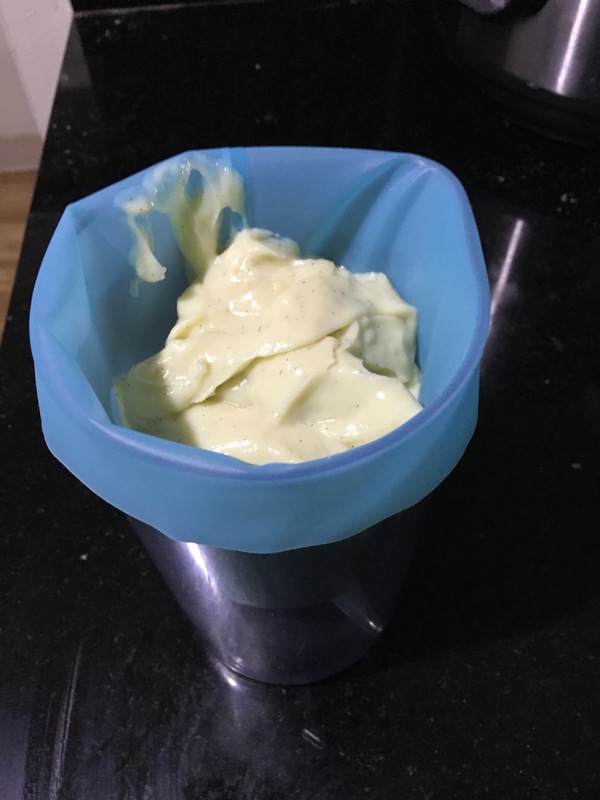 Let cream cool completely, then transfer to a piping bag (or if using vanilla extract instead of vanilla bean or another addition, transfer to a bowl, whisk in extract, then transfer to a piping bag). Stick end of piping bag in bottom of each cooled hollow pastry, and fill. Wow. That is a lot of steps. Honestly, since most of it is in bits and pieces it’s not too bad. And you can make the cream way ahead of time, so it doesn’t need to be two recipes at once. 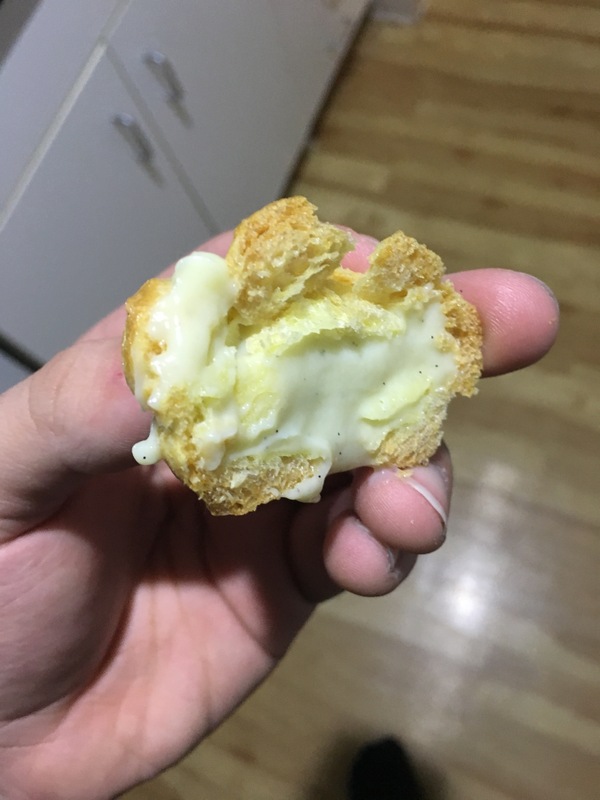 I really liked my cream puffs. 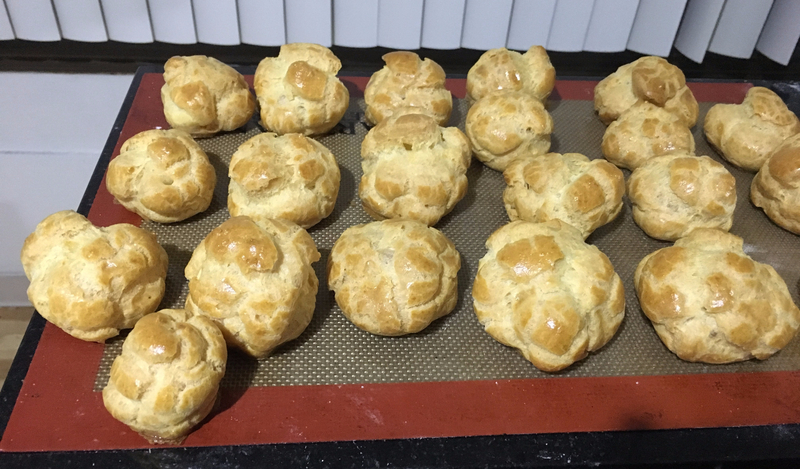 The recipe made 26 cream puffs, which felt like a good yield for the effort involved. Next time I’m going to pipe out some eclairs, and maybe muster up the energy to throw some chocolate on there too.